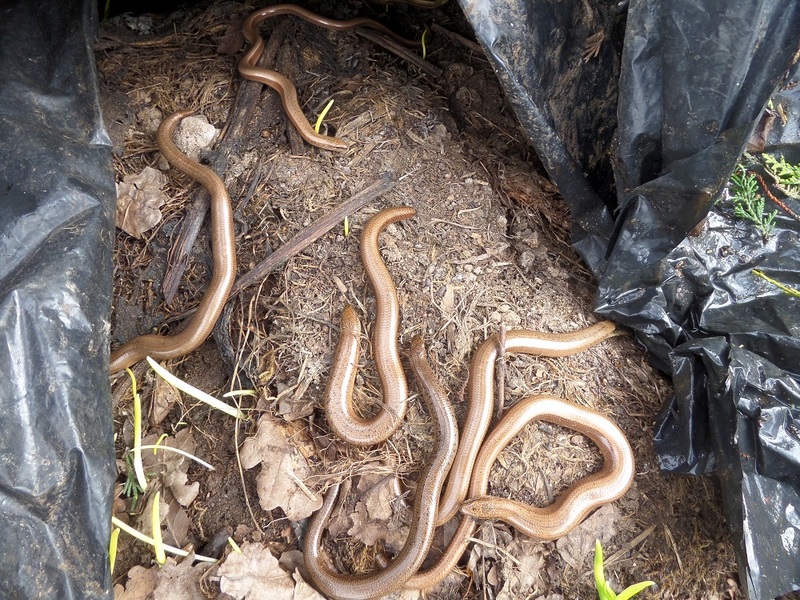 Was nicely surprised this morning about 11.30 to find slow worms out basking under plastic in a compost bin. I'd already checked the covers (none) and the sun was just out briefly, now gone. I'd been checking for their appearance over recent days, so I think this is more or less their first outing. I was so surprised to see them that I hadn't got my camera so I went and got it and left them ten minutes or so before peeling back the plastic again. I think there were ten initially, so maybe a few had gone when I returned. 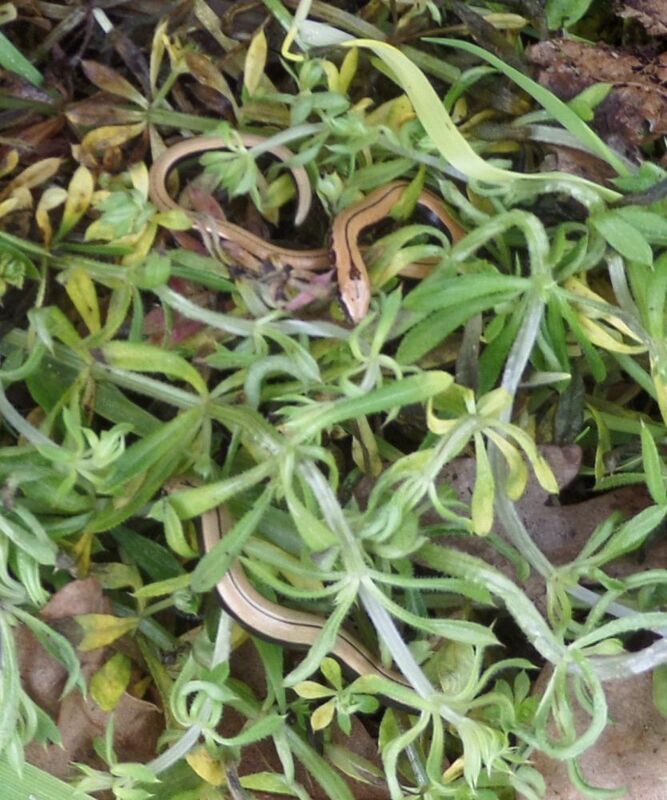 That's cheered me up Suz, very drizzly and rather cool here today, but hopefully not long now before our reptiles get active in the garden again. Lovely, and certainly fat looking so have done well over Winter, hopefully the cold weather on the way again won't affect them at all, I guess they would just burrow down again? Fantastic Suzi - you beat me there. I've been turning sun-warmed objects over on likely days but still drawing a blank so far. Totally different subject. I had an email today (a few minutes ago) suggesting that you had requested your password (i.e. forgot password.) The reason I am writing is that the automatic email giving you a new password was returned undelivered "Mailbox unavailable". 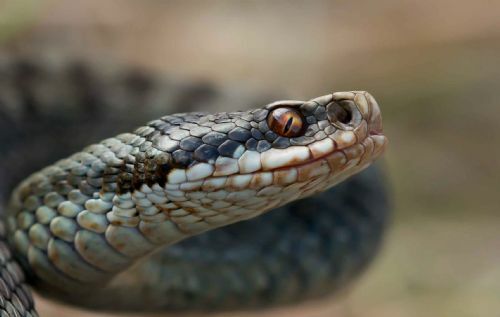 Since the system will have changed your password, would you please drop me a line at admin@herpetofauna.co. uk so I can advise you of the new password. Yesterday saw my first young one. 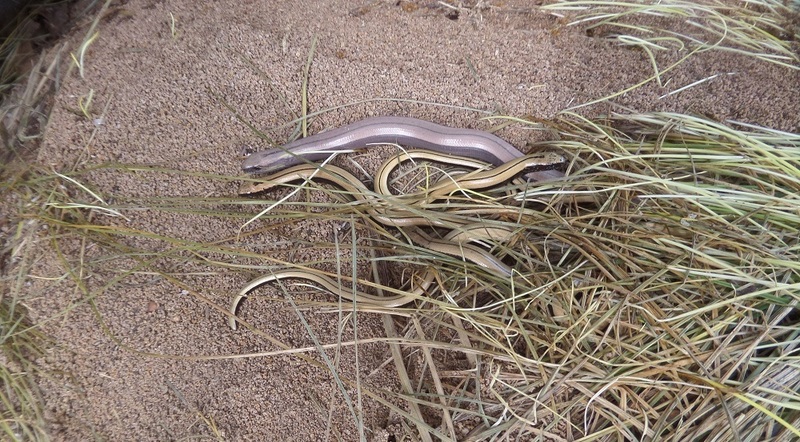 Normally see young of the previous year before any adults. 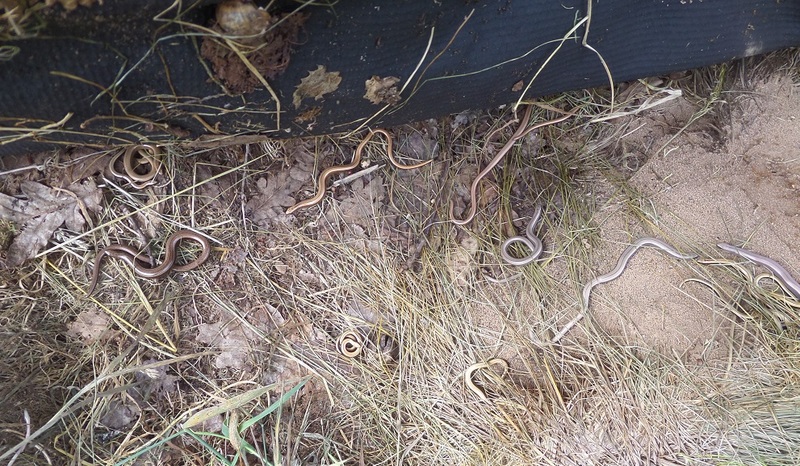 Not so this year, but that might be because I moved all the covers in February as they were getting overgrown. Only when I downloaded the image to edit that I noticed a second one! Mild day up to 14deg C this afternoon. Pipistrelles out this evening. And Will, yes i spotted that red frog too and was hoping to get a pic of her but i've missed my chance. It's all over here now. There are a handful of ever-the-optimist males still hanging around but that's it. 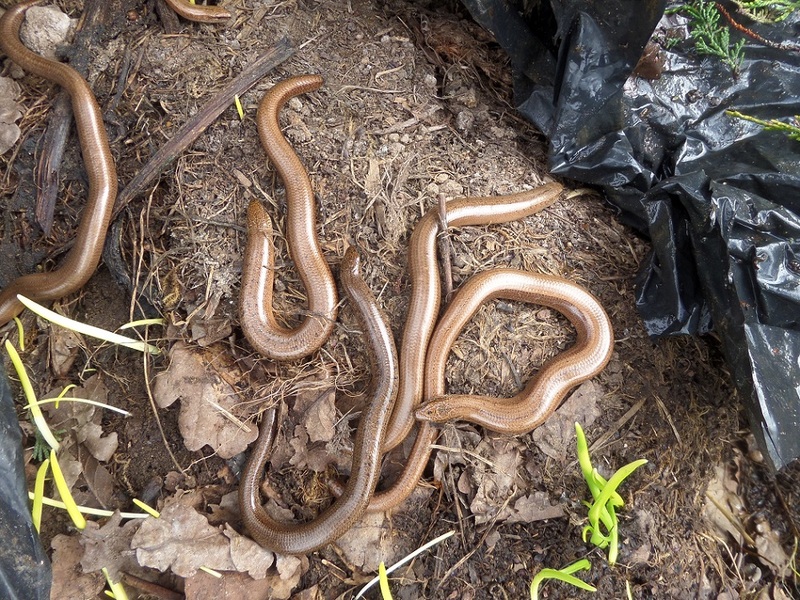 Just an update on slow worms, showing new young ones. What looks like fine sand is the work of ants under this cover. 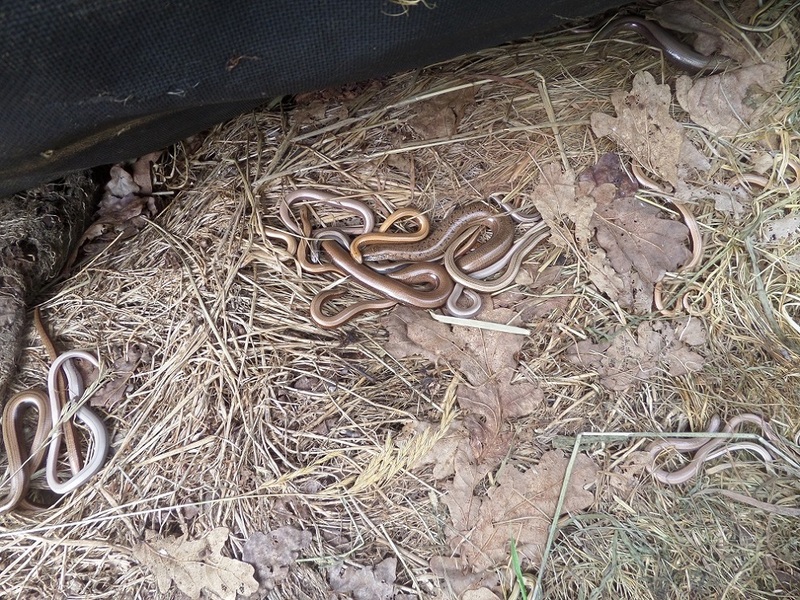 Slow worms seem to like to lie on ant worked ground - do they hoover up the ants? This cover is a new one as I am replacing all my Coroline ones this time. 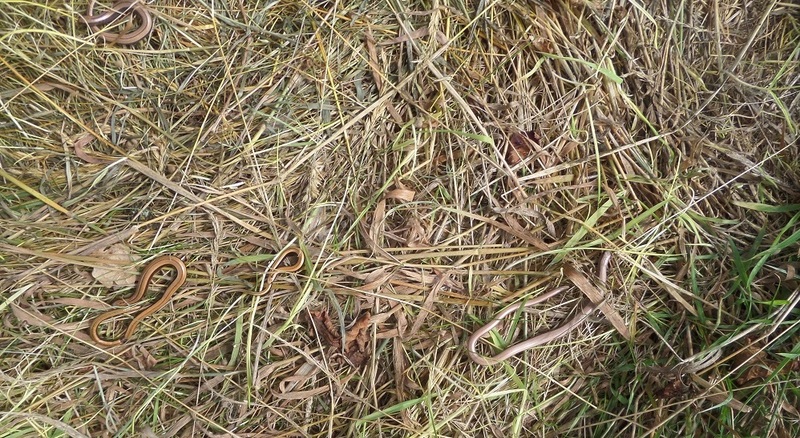 It was only in place for two days and slow worms appeared. Went to move a large quarry tile that was sat on the veg garden when to my surprise there was a mid sized toad underneath it. The tile has been sat there all summer. The toad was furiously digging itself in backwards as I looked at it, so I carefully replaced the tile. I think that is the first toad I've seen this year, certainly this summer. Put in a very small preform pond a few weeks ago and there was a large frog in it the other day, so hopefully the pond got some approval. I hope it will appeal to frogs for spawning in spring.